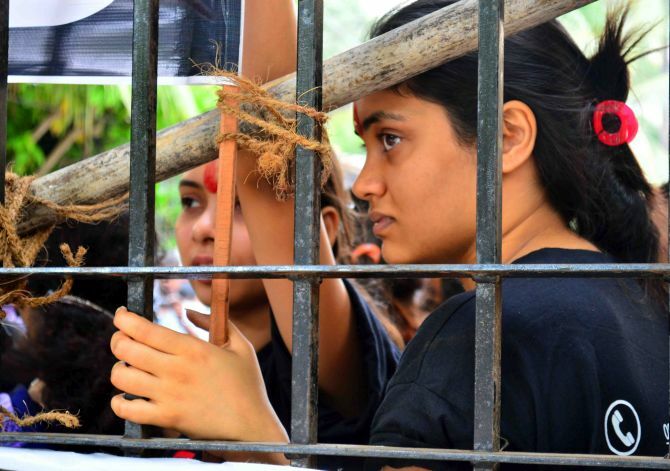 After three days of stiff resistance, the residents of Campa Cola compound in south Mumbai on Monday opened the gates of their compound, letting in civic officials, who cut off their connection to water, gas and electricity supply to 96 illegal flats in the plush complex. “The residents finally cooperated with us today. Our teams have started work of cutting off the supply of electricity, water and piped gas of the residents and have formed 12 teams for the process,” said Deputy Municipal Commissioner Anand Waghralkar. The Municipal Corporation of Greater Mumbai, that started work at 11 am, will continue with it till sunset on Monday evening, he said. “We have once again assured residents that we have only come to cut off the essential supplies peacefully as per the orders of the Supreme Court and will do nothing more than this,” the MCGM official said. After backing out from their stand of prohibiting the entry of MCGM officials in the compound, the residents, following the intervention of Maharashtra Chief Minister Prithviraj Chavan, had on Sunday apologised to the civic body for the inconvenience caused to them. 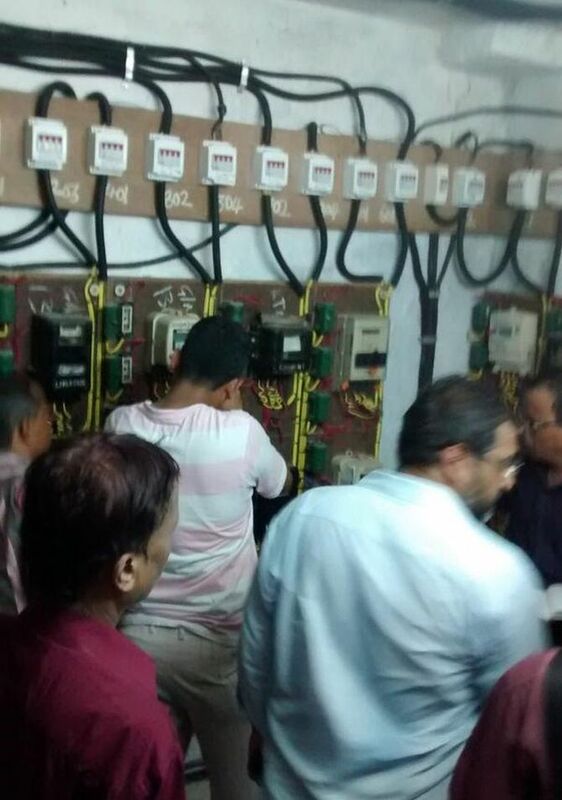 The residents of the complex, located in the plush Worli area of south Mumbai, also decided to let the MCGM officials cut the water and power supply to illegal flats. They had also petitioned to President Pranab Mukherjee, requesting him to stay the demolition of the illegal flats on “humanitarian grounds”. The residents in their petition said if the illegal flats are demolished, senior citizens living there would be rendered homeless. They also stated a number of ways in which the illegal flats can be regularised by the state government. The Supreme Court had on June 3 dismissed the plea of the residents of the illegal flats against an earlier order asking them to vacate their apartments by May 31. Following the SC order, MCGM had issued notices to the owners of the illegal units to hand over the keys to their flats so that demolition could be carried out. However, none of the owners has done so. 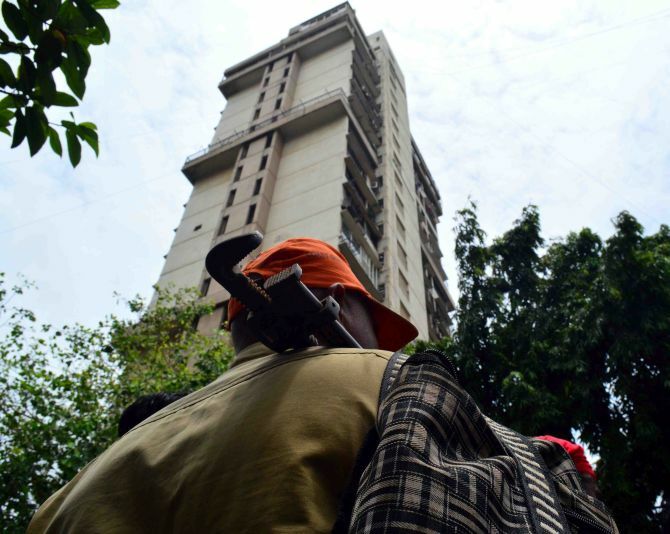 The MCGM deadline for vacating the flats expired on June 20 and, as part of their plan to force the occupants to hand over the apartments, civic authorities decided to cut off essential services like water and power supply to them.